The recent influx of energy-related workers to our area has obviously created an influx of motorists on the roadway. In addition, construction and oil field-related commercial vehicles have increased their presence on city streets. It is inevitable that damage to the roadways will occur. Therefore, in an effort to protect the tax payer’s investment of their roadways, the department now has a full-time truck regulatory officer patrolling the city streets in search of overweight and illegal commercial motor vehicles. The duties of a truck regulatory officer are to enforce weight and dimension violations on city streets. 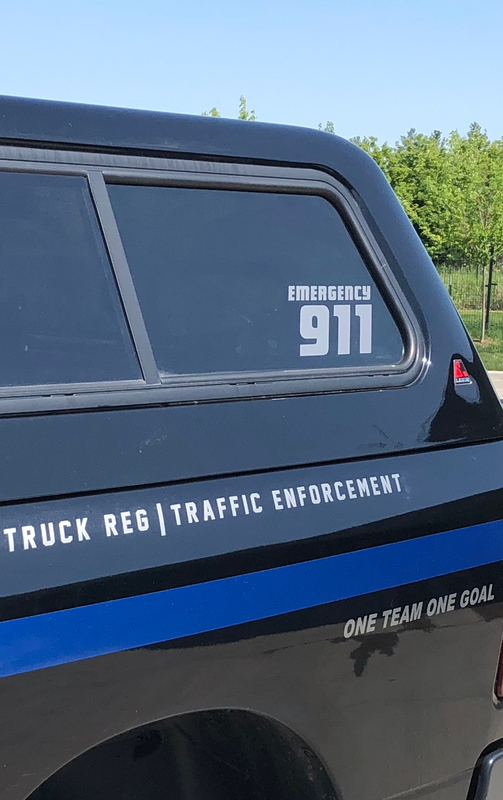 The officer will also take a pro-active traffic enforcement roll, with concentration on red light and speeding violations. 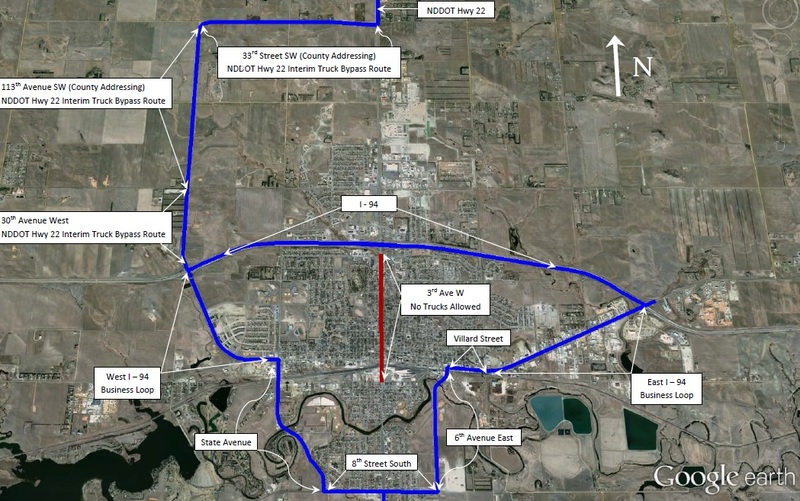 The City of Dickinson adopted the same ordinance for overweight vehicles put forth in the North Dakota Century Code, Chapter 39-12-05. No vehicle may operate on city roadways with a gross weight of over 105,500 lbs. There are also per-axle limits which can put a vehicle overweight. 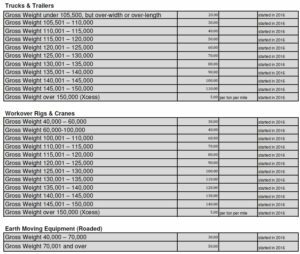 Drivers of overweight vehicles are encouraged to visit http://ndenergy.org to view permitting requirements and procedures. It should also be noted that as of Summer 2014, all commercial truck traffic is restricted to operating on only the truck routes within the city, except for local deliveries. Violations of this ordinance is a $100 fine. See the map below for the designated truck routes. Truck Regulatory Officers have received specialized training in detecting overweight vehicles. If they see a violation, a traffic stop is made and the truck is weighed using portable scales. If the vehicle is found to be overweight, civil monetary penalties are assessed. Below are several documents related to truck regulatory enforcement. Comments and questions regarding Truck Regulatory can be directed to Captain Joe Cianni at 701-456-7759 or by Clicking Here to email.